Momentum Community Economic Development Society is a Calgary non-profit that provides opportunity and hope to people living in poverty, by helping participants develop themselves in five areas: social, financial, human, physical and personal. In a nutshell, Momentum helps individuals place themselves in better positions to succeed long-term. RedPoint has been working with Momentum for the past five years on everything from annual reports to websites and video content. 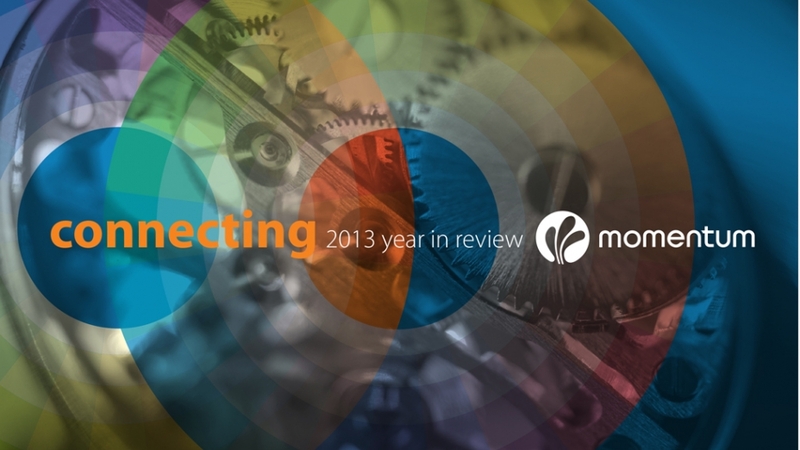 In the past, the Momentum annual report has been a print piece. For 2013, the organization wanted to enhance its connection to participants, stakeholders and the larger community by using video as well as print media. The 2013 Momentum annual report incorporated elements from previous years, including the organization’s blue and yellow colours, the font family and the use of 100% recycled paper. However, the print piece was simplified so that it would function as companion to the video component instead of a stand-alone annual report. Momentum wanted its annual report to feel as human as possible, and to show people involved in the organization doing what they do best. The purpose of the video was to bring Momentum’s stories to life. RedPoint has previously collaborated with Momentum on a website and microsite and fiveannual reports.